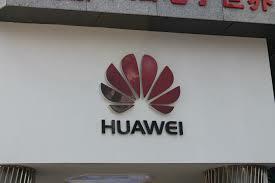 Huawei, a leading global information and communications technology (ICT) solutions provider, has announced a joint development agreement with Telefonica, a worldwide telecom leader, for the deployment of optical distribution network (ODN) solutions, including the Huawei FastConnect solution. This agreement will allow Telefonica to tackle fiber to the home (FTTH) challenges and to improve fiber deployment process and shows the broad cooperation between Huawei and Telefonica, which ranks from active equipment to passive networks. As a leading fixed network and mobile communications operator, Telefonica determined its FTTH development strategy in 2008 and has an ambitious deployment plan in the coming years. Telefonica has selected Huawei’s customized ODN solutions for its FTTH network, such as outdoor connectivity elements, which improve the efficiency of the deployment. With Huawei FastConnect solutions, Telefonica has adopted an alternative system for the outdoor hardened optical connectors of fast-connection technology. Drop cables are pre-connectorized and support plug-and-play, so no splicing is required onsite. Huawei FastConnect solutions are highly reliable, comply with IP68 and they adjust to high-humidity environments and temperature variations from +70℃ to -40℃. Huawei is dedicated to providing high-quality fiber infrastructure network solutions for customers. In October 2010, Huawei launched the industry’s first Intelligent Optical Distribution Network (iODN) solution and was recognized with a Broadband InfoVision Award at the Broadband World Forum (BBWF). Related iODN standards have been released in ITU-T. By now, Huawei has constructed over 60 iODN networks worldwide.